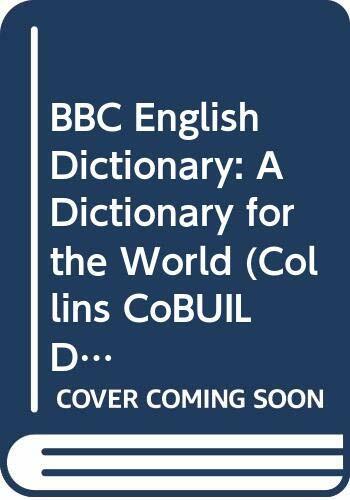 This dictionary is the result of a major partnership between BBC English and Collins COBUILD, reflecting the spoken language as used on the BBC World Service. The dictionary includes over 60,000 references, 70,000 examples and 1000 encyclopaedic entries. This dictionary is the result of a major partnership between BBC English and Collins COBUILD, reflecting the spoken language as used on the BBC World Service. The dictionary includes over 60,000 references, 70,000 examples, explanations in full sentences using simple and natural English and 1000 encyclopaedic entries giving information on the countries, capital cities and political leaders in the news.